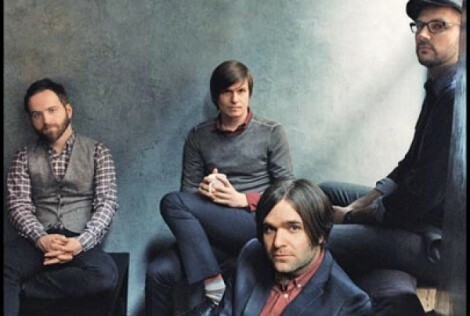 Calling City Weekly from Alpharetta, Ga.—60 miles from where Death Cab for Cutie had their asses handed to them (twice), Death Cab guitarist and producer Chris Walla doesn’t wanna talk WhirlyBall. He doesn’t even like it. Late Utah inventor Stan Mangum designed WhirlyBall—a fast-growing team sport combining jai alai, basketball and something like bumper cars—in the early 1960s. Walla’s bandmates Ben Gibbard, Jason McGerr and Nick Harmer probably would’ve enjoyed chatting about the game, but not this guy. There’s a reason he only played “Chris ‘Sideline’ Walla,” Team DCFC’s hotheaded coach, in the vids. Not that he’s a grouch; he’s a nice, mellow guy. He just doesn’t dig WhirlyBall. But that’s OK; we found a few other things to discuss. A major influence for Codes & Keys is Orchestral Manoeuvres in the Dark’s (OMD) 1983 album Dazzle Ships. “[It] was a big chunk of the inspiration for this record. Weirdly, it almost ended their career when they put it out.” The problem, Walla explains, is that OMD’s record label wanted hit singles, and Dazzle featured mostly experimental “bizarre … patchwork” music. Without making a direct comparison to Codes, Walla notes that Dazzle is the album “everyone points to as [OMD’s] magnum opus. It’s really a gorgeous album. It’s daring and it’s weird and it leans a lot on the paranoia of the Cold War.” It’s interesting because Codes has gotten reviews on both ends of the spectrum. Speakin’ of paranoia, City Weekly asked Walla if Codes & Keys is, as the title may allude, laden with backward messages from Satan. That’s it? Come on, man. You’d be the perfect band to revive puttin’ devil stuff in rock & roll—nobody would see it comin’. Monday, Aug. 22, 7:30 p.m.